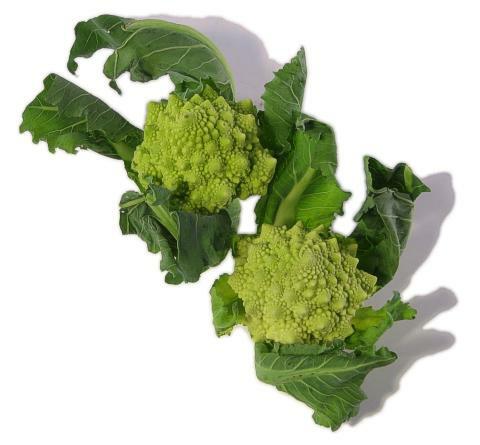 General Information: Romanesco broccoli or fractal broccoli is a vegetable member of the Brassica oleracea L. species. It was first documented in Italy (as broccolo romanesco) in the sixteenth century and since then there has been an ongoing debate on how it should be classified. Romanesco is increasing in popularity. Its flavour is somewhere between broccoli and cauliflower, with a sweet, vegetal nuttiness - and it's bereft of the slightly bitter edge cauliflower can have. Eat raw and with dips to retain its crunchy sweet taste, and containing more beneficial health properties than a white cauliflower. Can also be stemed as a cooked vegetable. Veronica produces individual florets with lovely spirals giving a magical appearance from late summer to early frosts.